Many artists don't give thought to the different methods of applying paint to the canvas--they simply start to paint and hope for the best. A well-trained artist studies different methods and techniques of painting in order to create well-informed and fully realized pieces of art. The first layer of paint is known as the under-painting. These paint strokes are usually thinned with paint thinner, monochromatic and are meant to establish the form of the subject in the painting, similar to a sketch. These brush strokes are often applied quickly to the canvas with medium-sized paint brushes, and without regard for the small details. Small details are filled in later, in subsequent layers of paint. Scumbling is a brush stroke technique applied to a pre-existing layer of dried paint. The artist applies new paint over the dry paint with a dry brush in a thick or thin layer, allowing some of the paint beneath to show through. A glaze is a thinned layer of paint applied over a dry layer of paint. The glaze layer is transparent enough that it allows some of the layer beneath to show through. A glaze layer will be smoother and more fluid than a scumbled application of paint. Feathering is accomplished by smearing two adjacent colors together with a dry brush that has no paint on it, making the border between the two colors vague or indistinguishable. 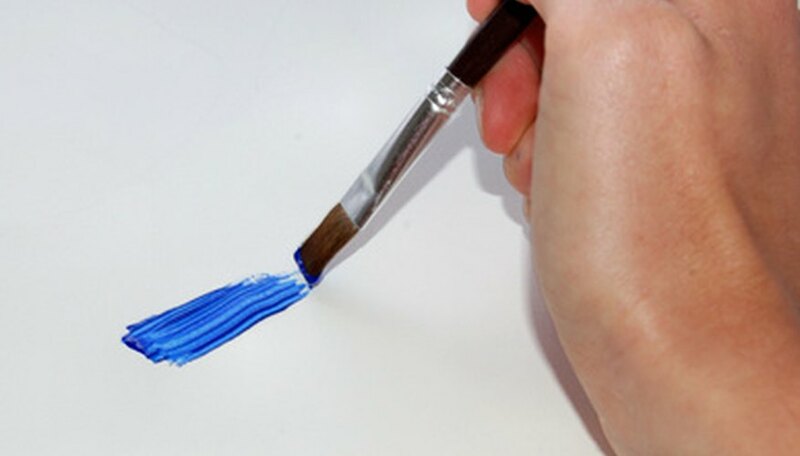 This technique may also be used to smooth the brush strokes of a single color on a canvas, so that the paint appears to be applied in a single smooth layer rather than with many different brush strokes. Wet-on-wet is not just a brush stroke technique, it's an entire method of painting. In order to accomplish a wet-on-wet painting, layers of wet paint are applied without allowing previous layers to dry. This technique is difficult because wet layers of oil paint already on the canvas will tend to become murky and muddy when more paint is applied. The artist must have a good knowledge of color theory and knowledge of the behavior of the various colors of oil paint, in order to use wet-on-wet effectively without creating a muddy mess.